Nicaragua is the largest country in Central America. To the north it is bordered by Honduras, and to the south by Costa Rica. Nicaragua is the second poorest country in the western hemisphere, partly because of the long civil war of the 1980’s and the devastation caused by hurricane Mitch in 1998. The vast majority of the five million inhabitants live in abject poverty with many suffering from severe malnutrition and starvation. 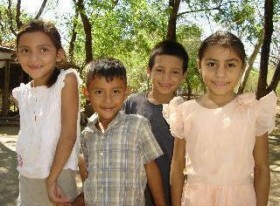 Here is a link to download a video file that you can show in your church to introduce our ministry and share about the work we are doing in Nicaragua. Right-Click here and choose save to download the video file to your computer. The video is also located on Vimeo. 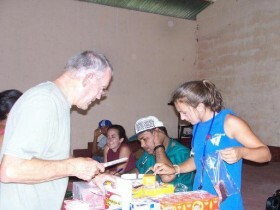 This ministry helps people meet their chief need for a Savior, while also helping to meet the critical physical needs of hunger, poor substandard housing, shortage of water, lack of schools and education, lack of churches and pastor sponsorship. We offer general economic, healthcare, and emergency relief. 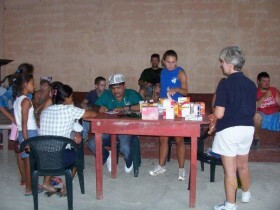 To date we have helped feed tens of thousands of hungry people with hundreds of tons of food. 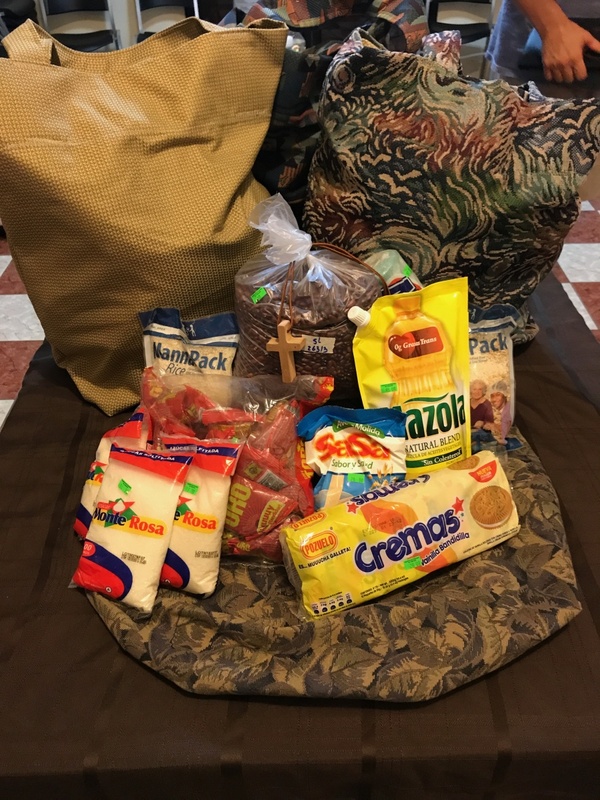 We have developed a mission trip prayer journal to use during your trip. We encourage you to print this out and review before the trip, and then use as a journal during your trip. Anyone with the desire to minister to hurting people in another culture can volunteer! Experience is helpful but not required. The ability to speak Spanish would be a plus, but we always have interpreters who assist in our work. Each team spends about a week in country ministering to the Nicaraguan people in some of the more remote villages.If you are interested in learning more, please contact us to discover if you can become part of this wonderful work.